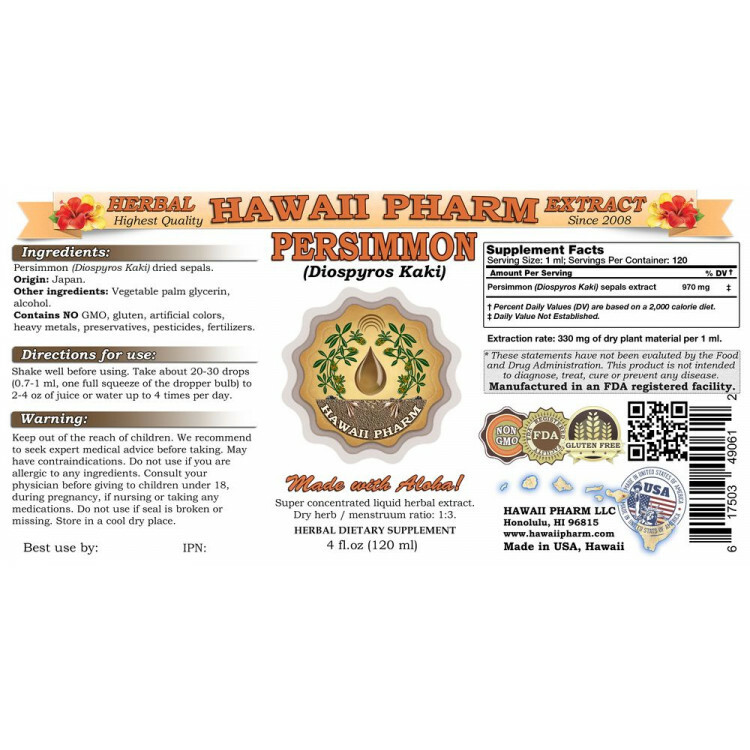 Expertly extracted under strict quality standards and procedures from Persimmon Dried sepals. We meticulously produce our extracts according to precise standards where each herb is extracted according to the distinct characteristics of each plant! Super concentrated Persimmon tincture: dry plant material / menstruum ratio is 1:3! 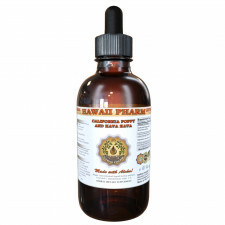 Extraction rate: 1 ml of extract is equal to about 270-330 mg of Dried herb! Main ingredient: Persimmon (Diospyros Kaki) Dry sepals. Origin: Japan. Menstruum: Alcohol, vegetable palm glycerin, crystal clear water. Contains NO: GMO, gluten, artificial colors, heavy metals, preservatives, pesticides, fertilizers. Great product. Works well. Thanks! This product came on time, was wrapped securely and is exactly what I ordered. Will not hesitate to use this company again. Very fast service, good packaging. This is for my son in law so I can't give feedback about the herb itself. I've ordered this product from them numerous times the quality is always good and delivery is always quick. Excellent product, will purchase again. very pure and excellent product . will buy again. No problem with delivery or condition of the product. Have some questions about the product but could not contact the manufacturer. First time using this brand. Have no complaints. I order this regularly and never have any problems. Always arrives quickly and is packed securely. Product arrived quickly and in good condition. This is my 2nd round of taking Hawaii pharm products. I take 3 of their products, milk thistle, graviola and lungwort. I can visibly see a skin lesion I have had for a couple of years is starting to heal. I put the lungwort directly on if for awhile, then just starting taking the tincture internally. This alone has been a big relief. No pills. Still figuring out my dose. A bit different reaction than the other brand I'd tried previously. No problems here. I'm pretty sure it helps. Have used for years on my albino dog as prescribed by my Chinese medicine vet. Very good results. Great, super love the fast shipping and the product. Love this stuff! Great product,and fast shipping. Always great service and products! Items were received even sooner than expected date! accurate description, good packaging, quick delivery ... great! Very fast delivery and packaged very, very well for shipping. Thank you! Prompt delivery and product as expected! Arrived on time as described. Good taste! Items arrived when promised and in good condition. This product has been hard to get from other sources, so I could not be happier that this product came exactly when you said it would.